The SWDHC Blog is now LIVE and available to the public. AmeriPlan has created a Membership Blog for Save With Discount Healthcare. The blog will support information about the AmeriPlan services, plans, service providers general info & news on various healthcare issues that could help the member or user with vital information. 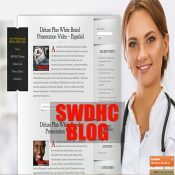 The SWDHC Blog will also be placed on the SaveWithDiscountHealthcare.com corporate site with an RSS Feed that will list the Top Ten blog postings. Join the Monday Conference Call for more information! Or join the FB Live Feed @ 3pm CST on the AmeriPlan FB Page! Can you help me what mail oder Rx we use?